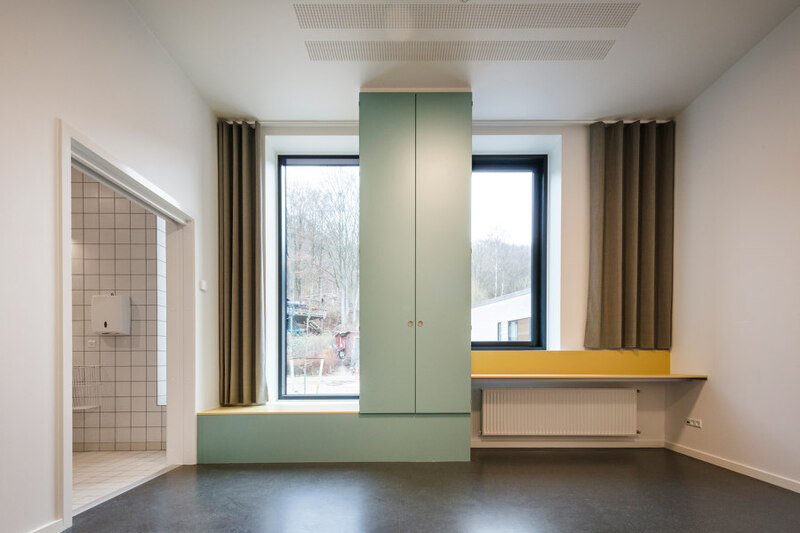 The Psychiatric Hospital in the Danish city of Vejle won the Mental Health Design category at the European Healthcare Design Awards 2018. 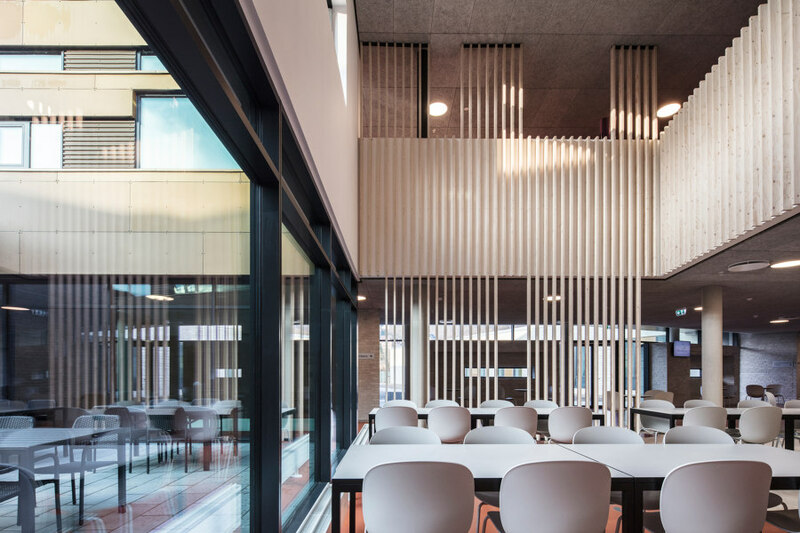 The designer, Arkitema Architects, focused on healing architecture, with plenty of light and visible nature. This has reduced physical restraint significantly. 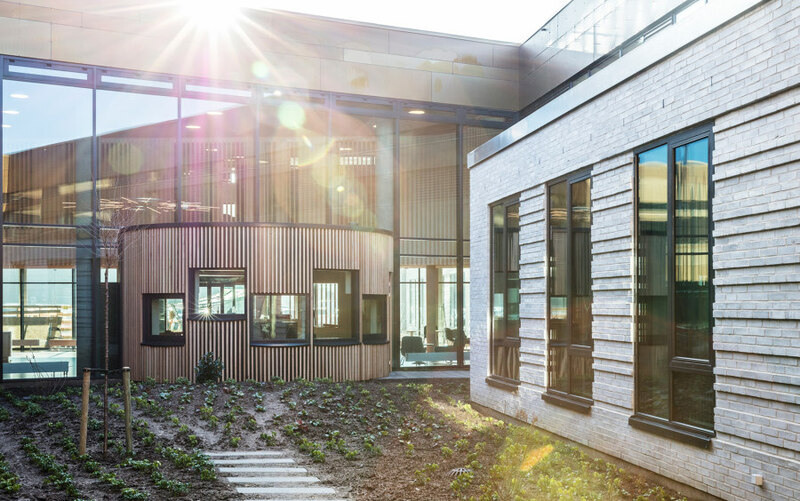 In February 2017 a new psychiatric hospital opened in the Danish city of Vejle. 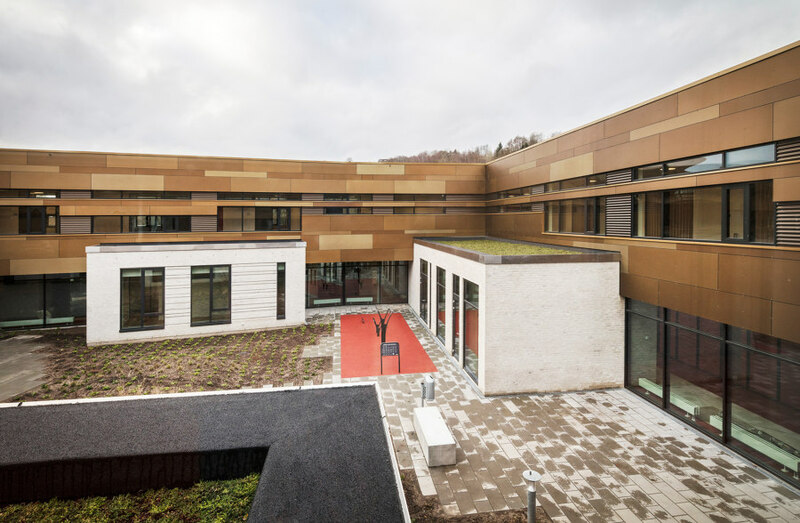 Since the opening the hospital has registered a 50 per cent decrease in physical restraint and it is widely acknowledged for its healing architecture. 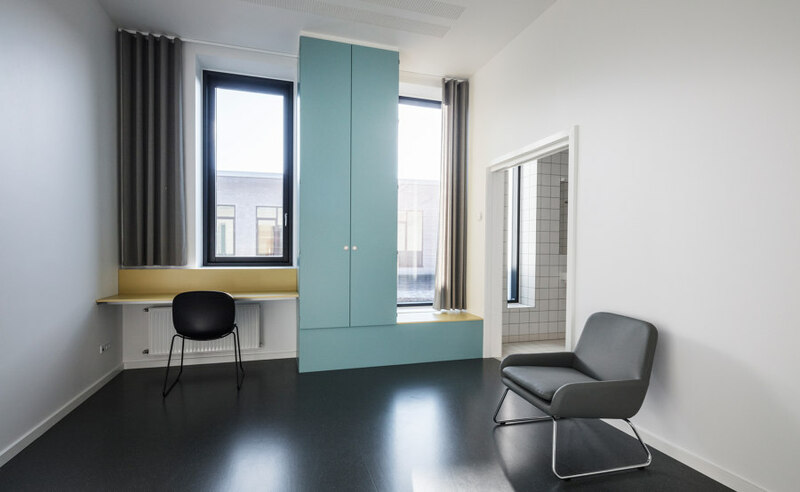 This was underlined in mid-June, when the hospital won the Mental Health Design category at the European Healthcare Design Awards 2018 in competition with mental health buildings from all over the world. 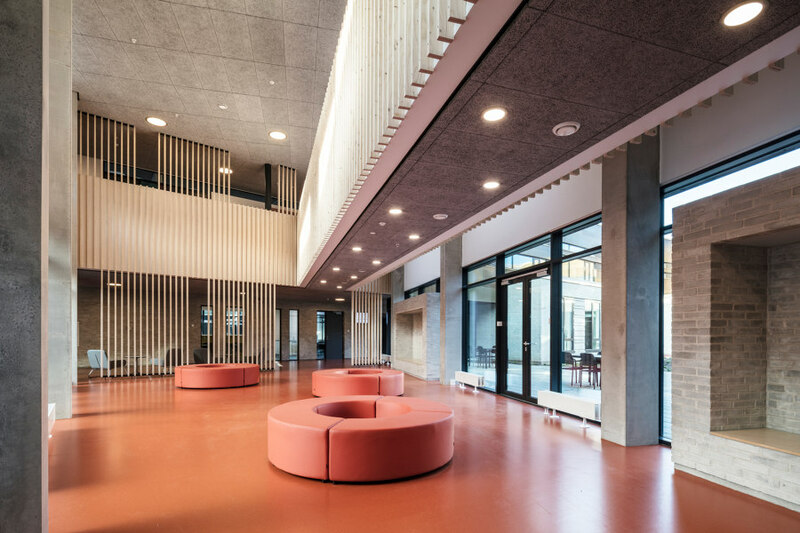 The building is designed by Arkitema Architects as part of a Public-Private Partnership, where the PPP team designs, build and run the building. 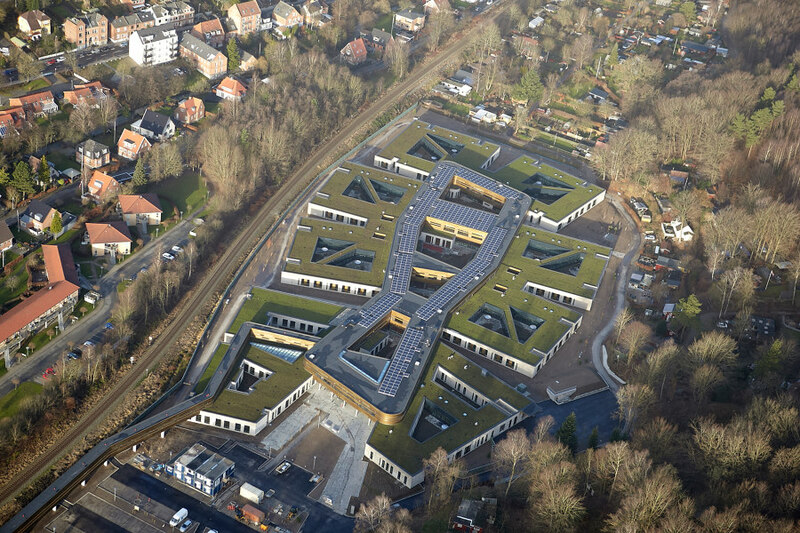 The idea of the hospital was to create a visionary mental health hospital with 91 beds, children’s ambulatory, psychiatric ER and ECT. The background for the project is a regional focus on outpatient treatment. Thus, the new hospital supports treatment of patients with intensive and complex behavioral conditions which require hospitalization. 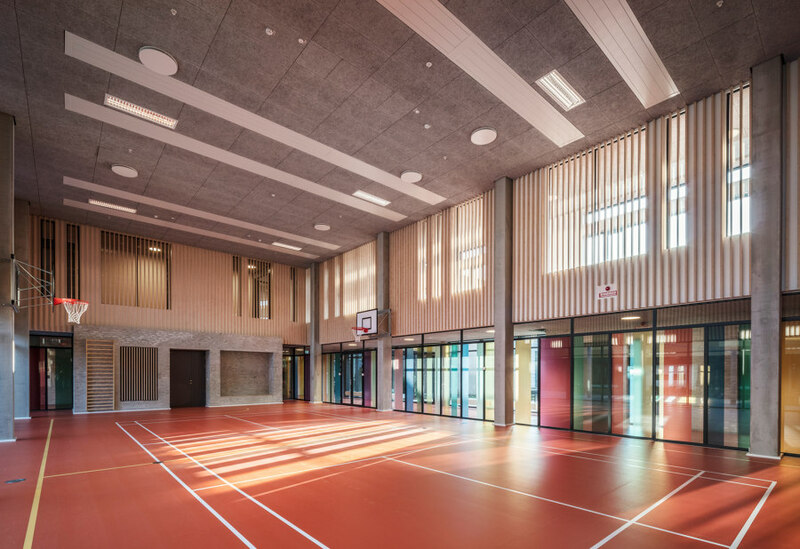 A primary design focus has been on a visionary healthcare design which encourages physical activity and minimalizes forceful intervention. “We are very proud of receiving this award, which proves that we made the right decisions, when we designed the hospital. 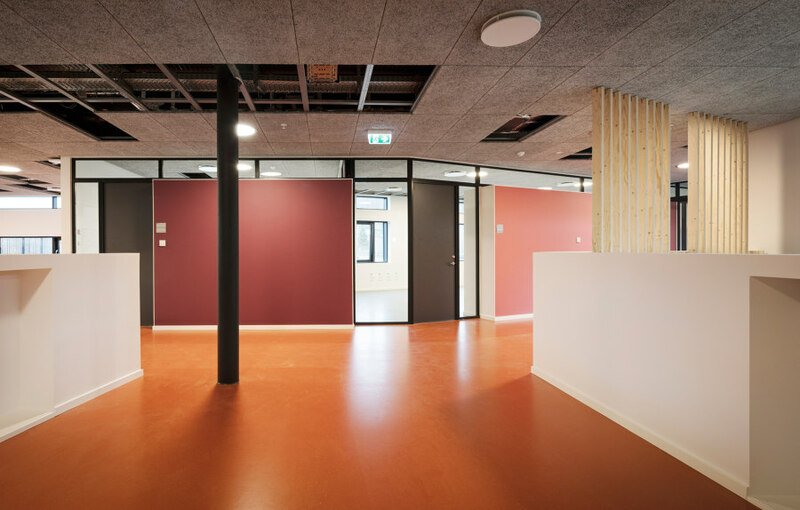 During the design process our focus was always to create the best possible surroundings for patients as well as employees. 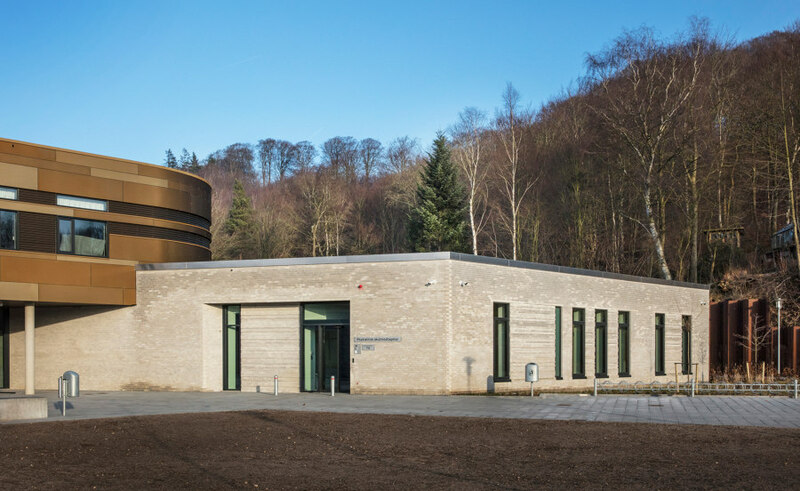 We have created a psychiatric hospital which focuses on the patients’ wellbeing, and where we have done our best to create truly healing architecture. 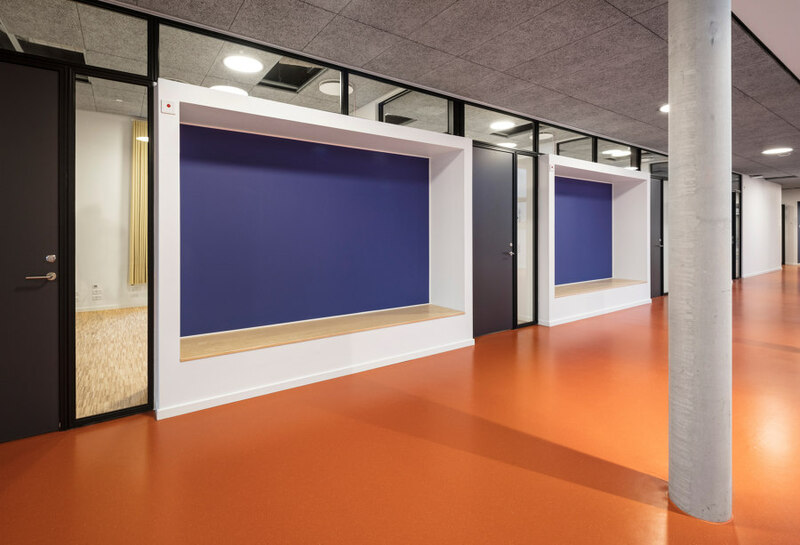 This is done by ensuring amble light throughout the building, easy access to nature and outdoor spaces, transparent wards with easy overviews, and a well thought layout,” says senior partner in Arkitema Architects, Wilhelm Berner-Nielsen. 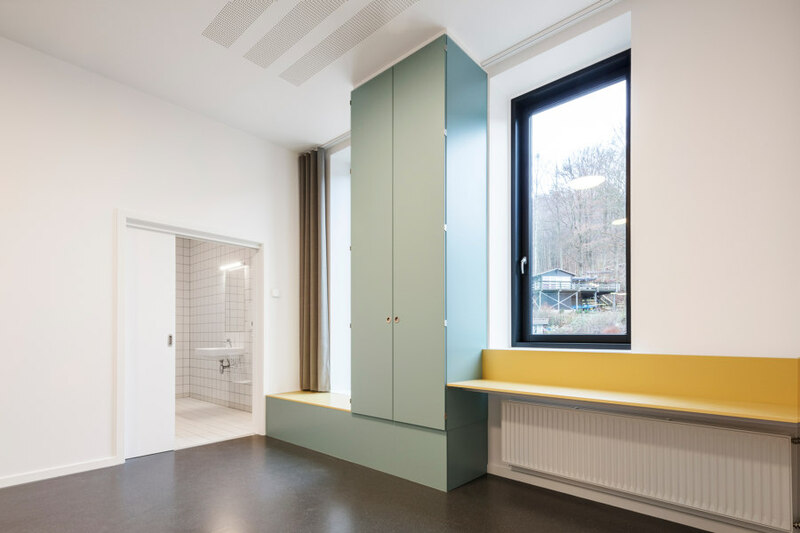 In the layout extroverted functions such as ER reception and children’s psychiatry are located as inviting units upon arrival, while wards are withdrawn within the building. 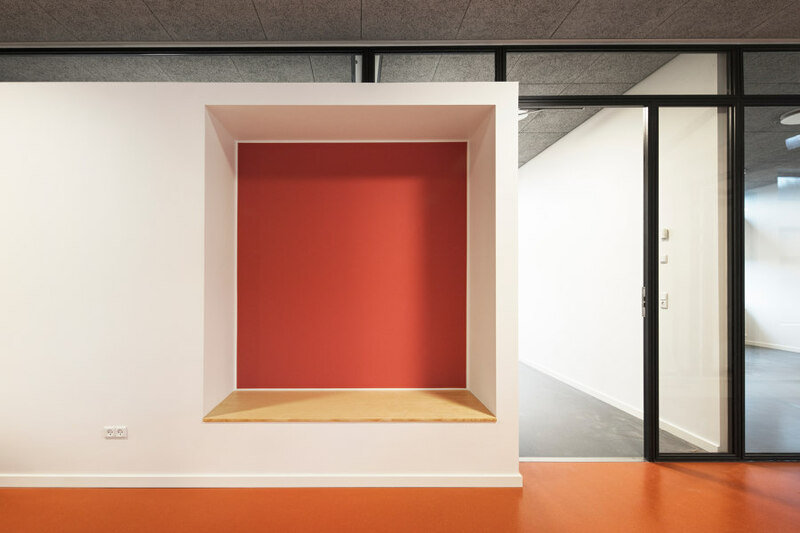 The enclosed First floor links administration and discreet patient transport in a ring structure which expresses a spatial division and forms a clear hierarchical façade. 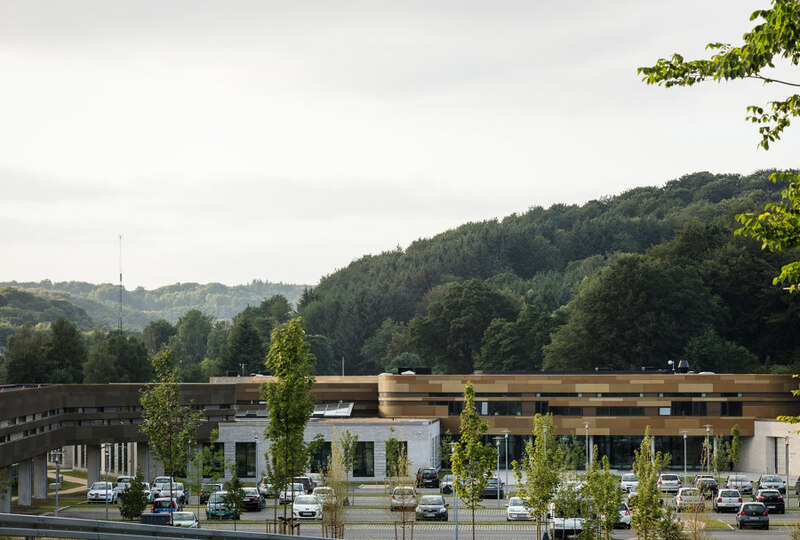 The hospital is gently placed at the bottom of a forest covered hillside. The plan layout is made up by smaller square masonry building units that twist from another, which makes room for prolonging the surrounding nature in to the spaces between the buildings. 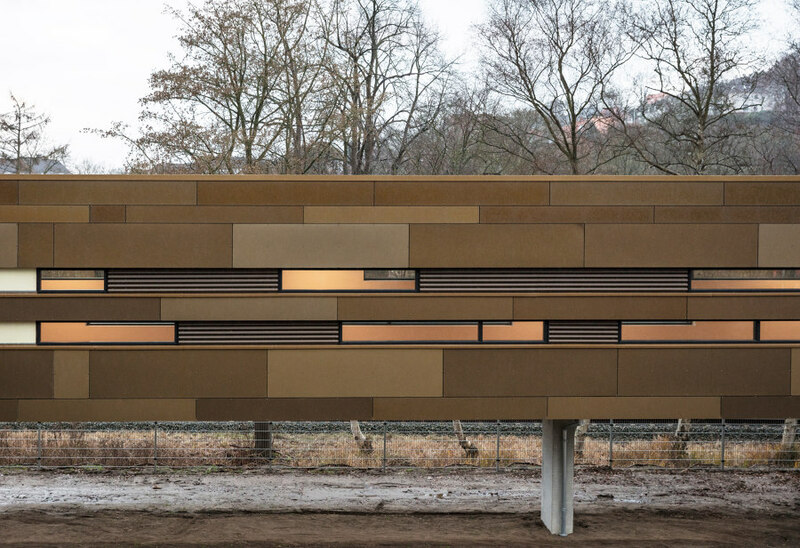 The building break down the scale, merge with the landscape and thereby match the surroundings. 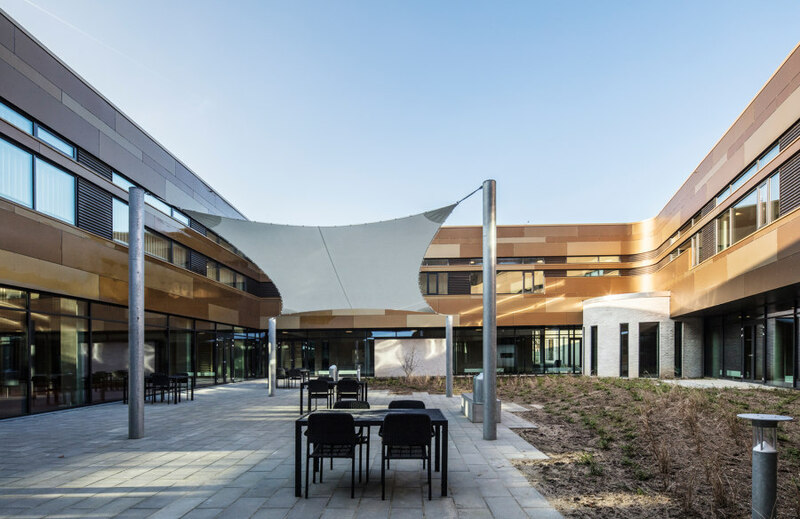 To ensure the full outcome of lights healing effect on psychiatric patients the architects have designed the building with special focus on both natural and artificial light. 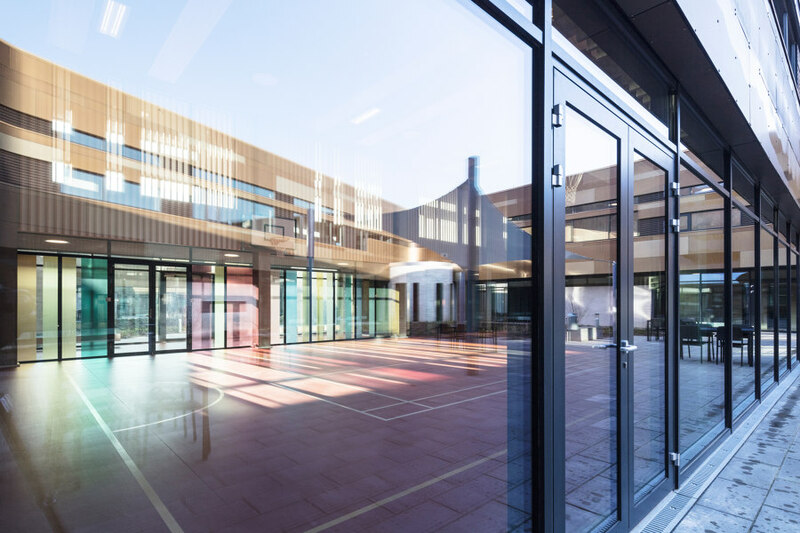 Glass panels and interior courtyards bring ample daylight in to the building. 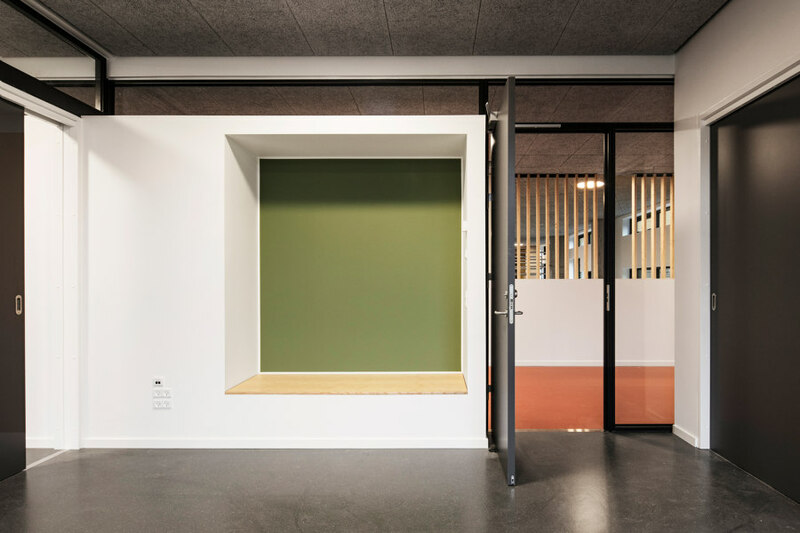 Withdrawn ceilings and interior glass help light extend even further through the building. Furthermore 24 hours colored light therapy is integrated in the wards for calming recovery, sleep support, elimination of depression and preservation of a natural circadian rhythm for staff and patients. 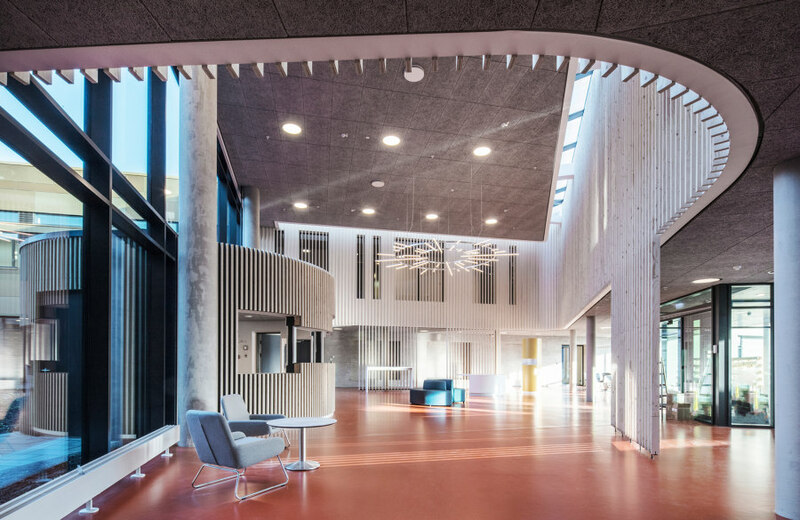 “Our ambition is always to design architecture that makes a difference to people, and that ambition is truly met at Vejle Psyciatric Hospital. 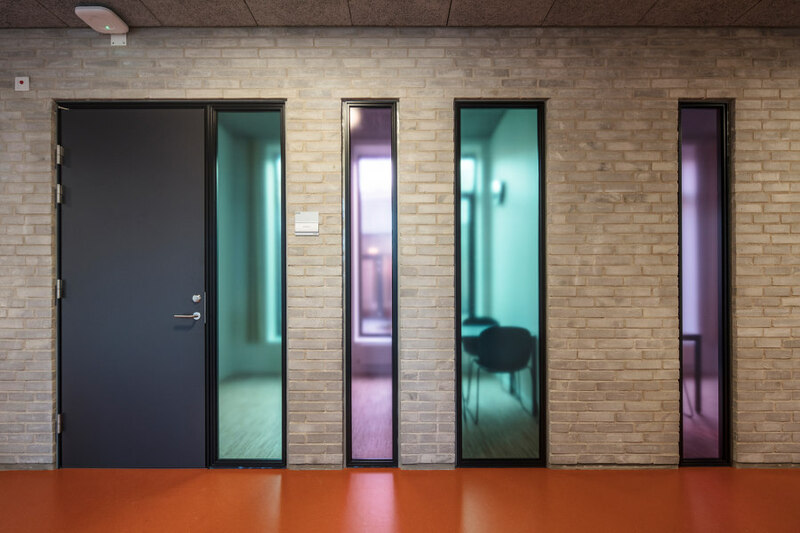 We are constantly working on developing and refining out knowledge from earlier health projects, where we’ve also succeeded in reducing restraint through our architecture. I’m convinced that the measurable results is part of the reason why we won the award. 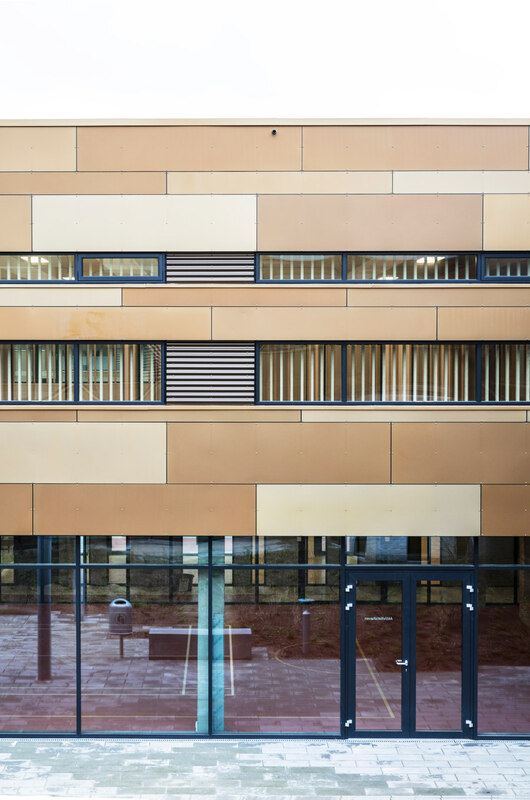 It underlines that architecture is not just focusing on aesthetics but also creating buildings that have an effect on the people using them,” underlines Wilhelm Berner-Nielsen. 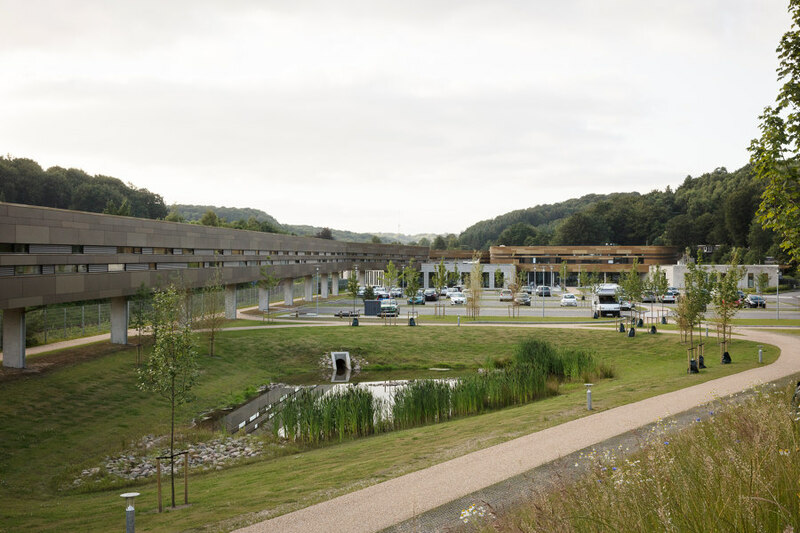 Vejle Psychiatric Hospital is run by the Region of Southern Denmark and built in cooperation with the PPP-company formed by Sampension, Pension DK, MTH and DEAS as investors, owners, builders and maintenance providers, where the region has committed to using the facilities in the following 25 years.